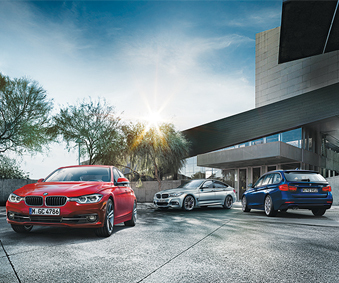 Finding a car purchase site in Hamilton is easy when you choose the one at Budds’ BMW Hamilton. Budds’ BMW Hamilton has been proudly servicing Hamilton residents for quite a long time, and we have a very good reputation for customer satisfaction and customer service. A way that we continuously meet this reputation is by providing our valued customers with a dealership that houses a large selection of premium quality vehicles, and a car purchase site in Hamilton that houses all the information needed to make an educated decision about buying those premium vehicles. When you are buying a car, whether it’s new or used, you never want to be left in the dark about key information about that vehicle, and with our car purchase site in Hamilton, that will never be an issue for our clients. Our car purchase site in Hamilton has a plethora of quality and relevant information about not only our high quality vehicles, but also about our dealership as a whole. Customers want to be educated about the dealership where they are buying their new car because of how important and big that investment is to them, and Budds’ BMW Hamilton leaves nothing and no one in the dark. If you have a rough idea of the specifications and characteristics that you want your new vehicle to have, but you are still not 100% confident in what you want, then using our car purchase site in Hamilton can give you the tools to narrow down your search. Whether you are looking for a pre-owned vehicle or a new vehicle, when you use our car purchase site in Hamilton, you will be able to filter your searches so that only vehicles that meet your set criteria will appear in the list. You can search for things like year, make, model, colour, transmission, trim, body style, payment method, and even the city where the car is located. These filter options really help a customer narrow down their search and only focus on the information of the vehicles that have met their criteria of what they want. Once you have found the vehicle, or vehicles, that you are interested in on our car purchase site in Hamilton, you can schedule a test drive in those vehicles right from our website. By clicking the blue ‘Book A Test Drive’ button on the top of the search window, you can choose the date and time that works best for you to come into Budds’ BMW Hamilton and test drive those vehicles. The only way to truly decide on the vehicle of your dreams is to get behind the wheel and experience the exhilaration of BMW vehicle’s performance, and our car purchase site in Hamilton is a way you can make this happen. For more information about Budds’ BMW Hamilton, please continue to browse through our car purchase site in Hamilton, or you can contact us via phone or email.